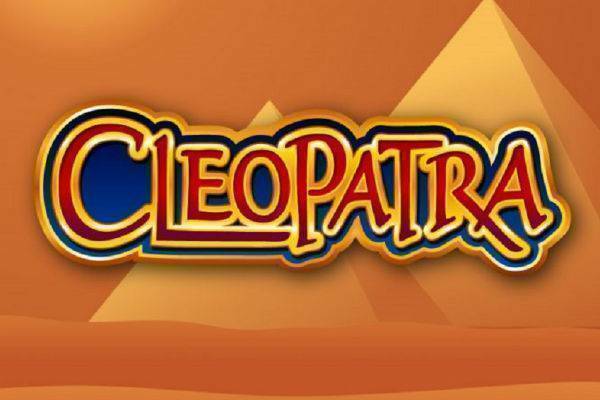 Cleopatra, a slot from IGT, is an Egyptian-themed, 5-reel, 20-payline video slot which takes you down the Nile and gives you a shot at high value treasures. The game comes with a RTP of 95.02%. The video slot features an exciting bonus game which gives you up to 15 free spins and triples your winnings, triggered by landing the Sphinx symbol. Look for the Cleo wild: the lovely Queen doubles any win in which she appears. And landing 4 or 5 Cleos on an active payline will win you some serious treasure. To change your bet, click on the green button on the left side of the game screen. Cleopatra has 20 paylines, and you have 5 choices of how many lines to play: 1, 5, 9, 15, or all 20. Press the (-) or (+) to change the number of bet lines. You can also choose how much to bet per line, from 1 to 50. The total bet, multiplying the number of active paylines by the bet per line, will be calculated and shown in the lower center. 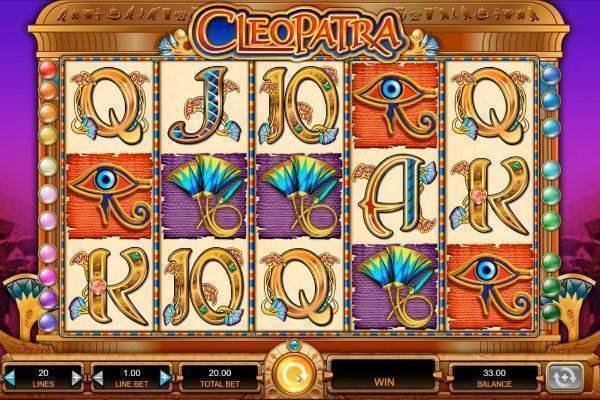 Cleopatra is this slot’s wild, substituting for any symbol except the scatter to increase your chances of winning. Not only that: wins that include her will double the prize value. The Sphinx is the scatter. 3 sphinxes appearing anywhere on the reels will launch the bonus sequence starting with 15 free spins and tripled awards (except for 5 Cleos). In addition to launching the game, the Sphinx is also capable of giving you a prize multiplier. Cleo also brings gigantic multipliers: 5 on an active payline multiplies your win by a stunning 10,000x bet. That’s also the fixed jackpot of the game, so you know which symbol to aim for now! The next biggest prize come from the Scarab beetles which can get you 750x your bet if you spin 5 of them. Win amounts are tripled in the bonus game which can dish out more batches of free spins. With some good luck getting extra free spins in the bonus, you can make some serious bank that equates to a jackpot. Maximum win is capped at 25,000,000 coins. Enter the Bonus feature by landing 3 or more Sphinx symbols in any place on the reels. This gives you 15 free spins. 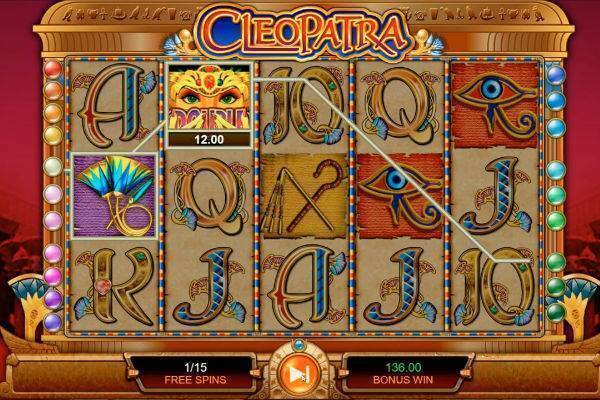 All subsequent wins, except 5 Cleopatra symbols, will be tripled during the Free Spins Bonus. Not only that: if 3 or symbols of the Sphinx land on any of the reels during free spins, you are awarded an extra 15 spins. In fact, you are eligible to get as many as 180 free spins during a bonus round! Cleopatra is slick, and the illustration impressive. Some serious artistic effort went into the symbols and the background elements, making this slot a pleasure to play. The game also features a control (in Settings) that lets you adjust graphics quality to fine-tune the balance between performance and resolution. The sounds, by contrast, are a bit clunky, not well-suited to ancient Egypt. Generic chimes greet each win. 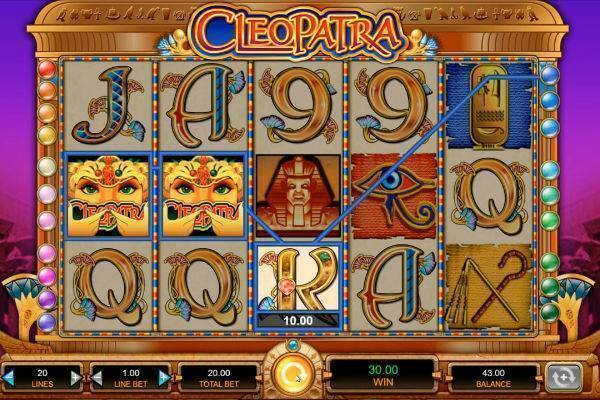 Cleopatra from IGT is a professional video slot that is a pleasure to play. Its RTP is rated at a decent 95.02%. While the bonus features are simple and straightforward with free spins and triple win multipliers, these may be enough to give you good reason to take a pleasant and hopefully rewarding excursion to ancient Egypt. The possibility of up to 180 free spins is tempting enough. So put on your Indiana Jones hat, put a scarab beetle in your pocket for good luck, and go out for a spin with Cleo at one of our recommended online casinos.